Striking and graceful, Acosia Red Elk leads a resurgence of American Indian jingle dress dancing while healing her body and mind. It’s hot. Charbroiling hot. No one appears too uncomfortable. Not here on the parched plateau of the Umatilla Indian Reservation in northeastern Oregon. It’s a fourth of July Friday night and 300 top professional Indian dancers pack the arena. Iron Horse, the host drum group, begins thumping. Then thumping louder. A yowl of high-pitched voices soon follows. The dancers begin a slow, syncopated, counter-clockwise swirl. It’s the grand display of a resurgent culture of jingle dancing and traditional American Indian music playing out here and across the country. 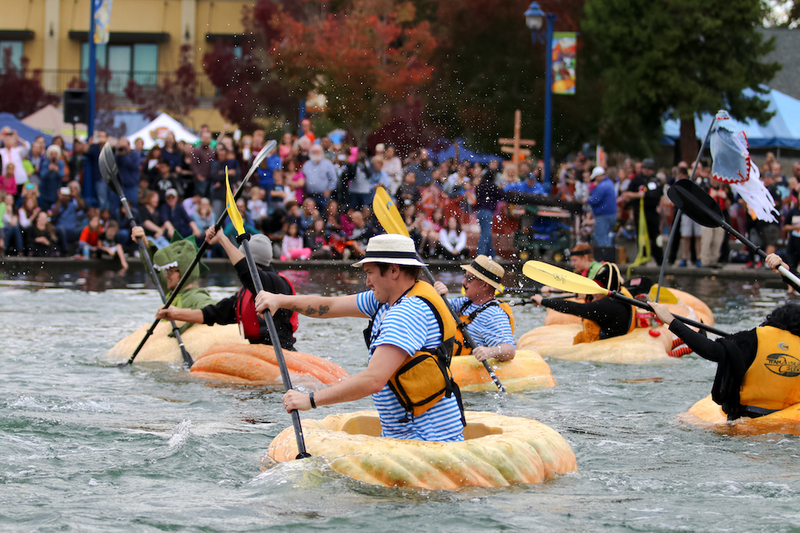 Dancers and drummers representing every state west of the Mississippi as well as the western provinces of Canada have come to compete for more than $90,000 in prize money. 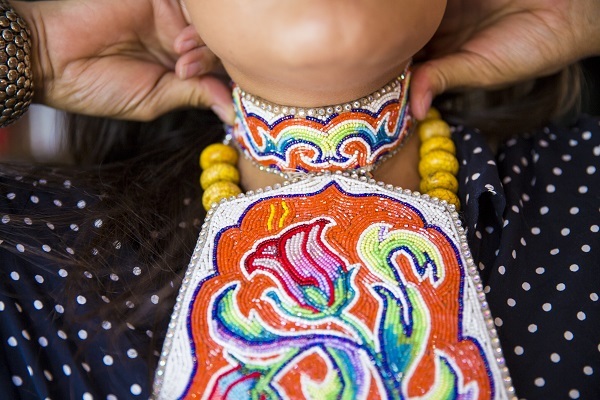 The large purse for this powwow has attracted a stellar field of competitors such as reigning world champion jingle dress dancer Acosia, “Young Swan Rising From the Water,” Red Elk. A determined, strong, and multifarious competitor, the 34-year-old Acosia was born, raised and lives on the Confederated Tribes of the Umatilla Indian Reservation. 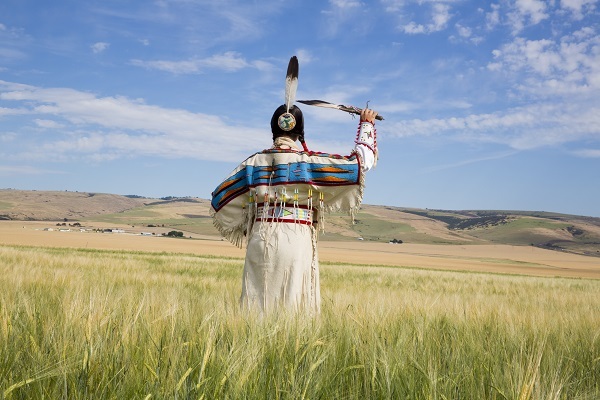 Although the roots of the confederation date back to 1855, it wasn’t until 1949 that the Cayuse, Walla Walla and Umatilla tribes officially adopted a constitution. Their land reserves today are estimated to be about 173,000 acres. Tribal membership holds around 2,700 enrollees. Modern powwows have become serious business. In Oregon alone, an estimated one hundred powwows are staged each year. 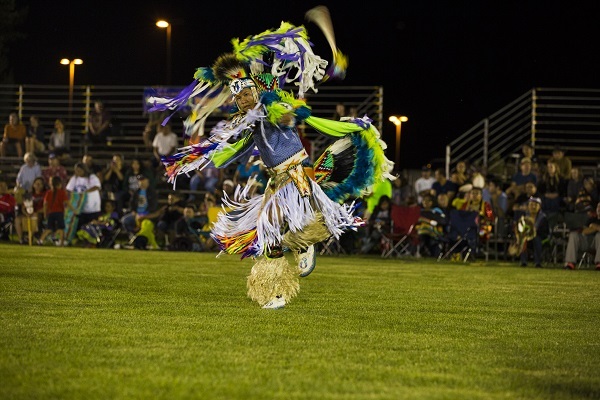 Much like cowboys in the Professional Rodeo Cowboys Association, where riders chase rodeos from one town to the next, powwow participants are nomadic entertainers on a circuit known as the powwow trail. It’s not uncommon for the most dedicated of these dancers and drummers to hit the road and compete in dozens of events every year. Indeed, many powwows are held in tandem with pro rodeos, such as the Pendleton Round-Up, held every September just nine miles away. Adjacent to the dance arena sit 200 male singers huddled around ten large leather-bound drums. They compete in groups, with names such as Eagle Spirit, Little Island Cree, High Water and Lock Horns. They provide a high-octane basso continuo for the night’s program. The dancing would seem diminished if not for the thundering drums and the high-spirited wailing. 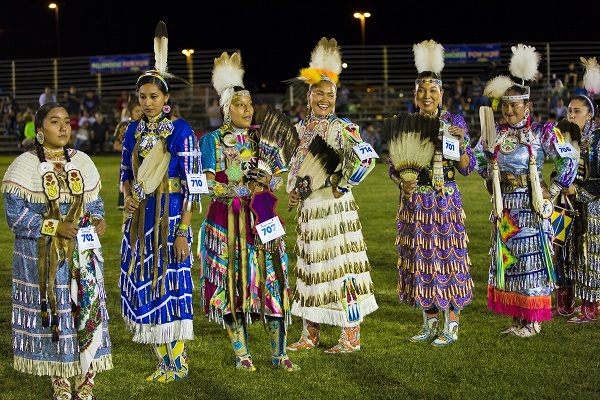 The Gathering Of Nations Powwow in Albuquerque, New Mexico in April 2005 was the capstone event for the then 25-year-old Red Elk, who walked off with her second of what would eventually become seven World Championship jingle dance titles. She also won “Head Woman Dancer,” an honor bestowed upon the top female dancer of the year, regardless of category. 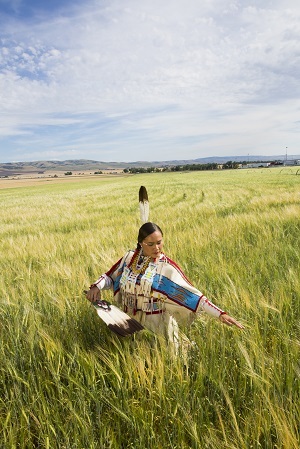 The Jingle Dress Dance, also known as the “Prayer Dance” or “Healing Dance,” was born from legend. Many say it originated with the Ojibwe people in northern Minnesota near the Canadian border. As the story goes, a holy man’s granddaughter became very sick one day and, in a dream, his spirit guides told him to make a jingle dress, as it would heal her affliction. He did so, and she began dancing in the dress. 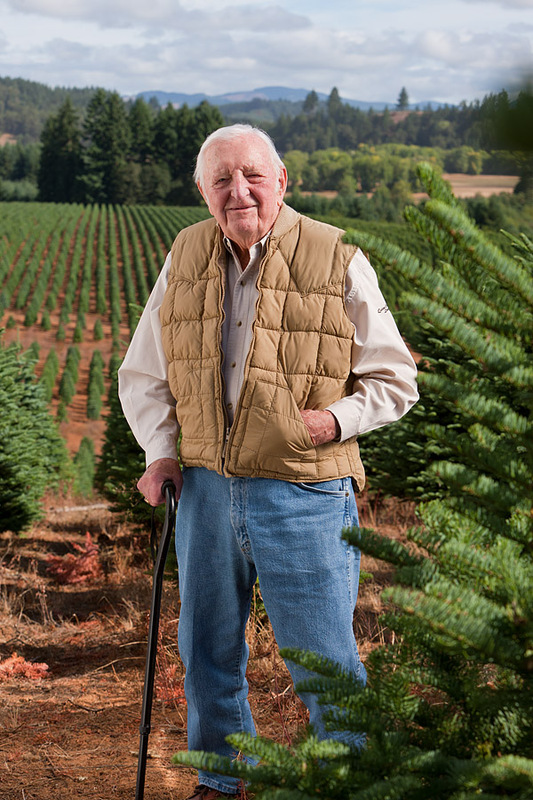 As time wore on, his granddaughter’s health was restored. The jingle dress itself is a sight to behold. Starting with a solid fabric, often cloth or leather, “jingles”—hundreds of them—are sewn in neat rows directly into the dress or on ribbons, or taped to the dress. Each tin or aluminum jingle is sewn close to the next. Originally, these were flattened lids of snuff cans then rolled and shaped into tepee-like cones. The dress is said to be “happy” when the clinking from the jingles brings it to life. To impress the judges in today’s contemporary style of dancing, contestants must demonstrate intricate footwork and graceful body movements. They must also exhibit a sense of poise under pressure. Other subjective considerations such as pedigree, regalia, style, timing and rhythm also play a role in the scoring. 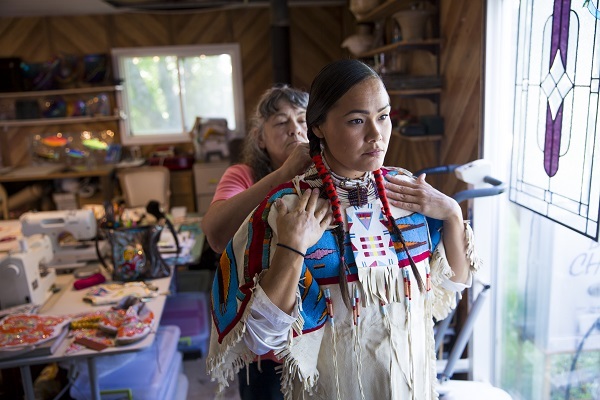 Although she considers herself a jingle dancer first and foremost, Red Elk’s talent and influence stretch far beyond the competitive jingle dancing. 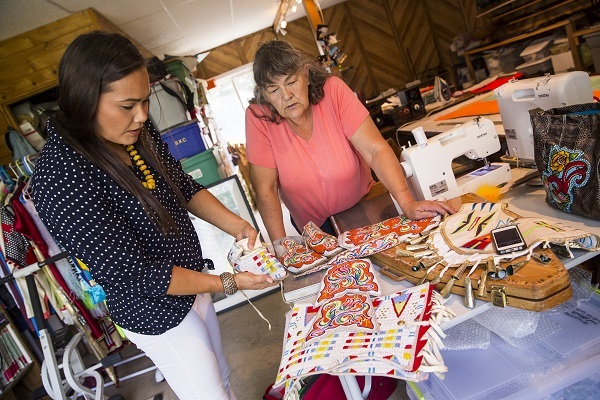 Red Elk and her mother are in the planning stages of developing a Healing Arts studio at their house. They want to use art as a way to help women and children who’ve been traumatized by addiction or abuses to get back in touch with their feelings. Together they’ll be teaching painting, glasswork, sewing and dance. Back at the competition at Wildhorse Resort & Casino, it’s Sunday, and it’s still hot. The Short Fringe Special and Hand Drum finals have just concluded. 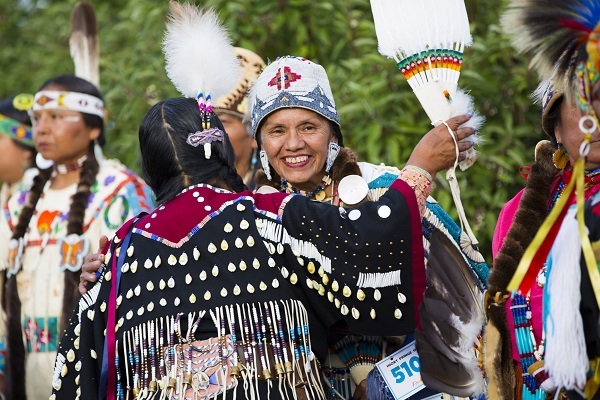 It’s been a three-day spectacle of riveting performances with the regalia of more than 100 tribes on display. Acosia Red Elk takes second place and $800 in the Jingle Dress Dance. Undaunted by the snap in her otherwise perfect winning streak this year, she remains upbeat. The weekend is not about winning or even the money. 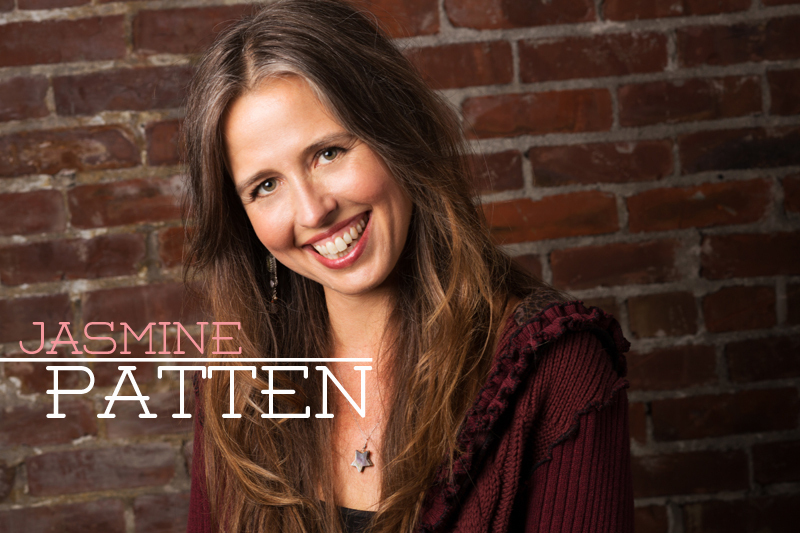 It’s about the power of ritual and a sense of belonging. Great story and well written, Stanford Pow-wow is largest pow-wow in Northern California we in Bay area look forward to seeing all awesome dancers and singers.